Enjoy Your Day to the Fullest By Visiting Amazingly Vivid Parks in Dubai! While famous for its grand desert and magnificent Arabian Gulf, Dubai has posed itself as a top tourism destination in recent times. With extremely high temperatures during summer due to the serene sandy landscape people earlier didn’t often thought of the city as a place for outdoor activities. But as the sands of time have passed, more number of parks has sprung up across the city, bringing with them a range of activities to keep residents from all walks of life happy. Whether you rent a bike, go on a safari or simply amble around, missing the dramatic beauty of Dubai’s natural landscape is not a wise decision. With numerous theme parks of the uppermost standards, one can even design an entire holiday around them. For those who prefer a scenic locale, these parks provide endless Instagram-worthy backdrops, leaving you feel refreshed and rejuvenated. Let us take a close look at some of the best parks to visit in Dubai and what you will find in them. This world’s largest indoor theme park consists of four zones that deliver an alluring jumble of rides and attractions ranging from mild to wild. Apart from this, the most popular attraction of this park is the walk-through ‘Haunted Hotel’, where live ghosts and zombies scare the people who check in. This being the world’s only theme park that celebrates India’s famous movie industry offers a plethora of action-packed 3D and 4D motion rides. This place holds a strong position when it comes to live entertainment, explosive stunt show, flamboyant song, dance performances, and a lavish musical extravaganza presented in the palatial Rajmahal Theater. This is a totally Hollywood inspire adventure land. Having specific zones dedicated to Hollywood’s most legendary film studios, this place keeps everyone enthralled for hours. With a diversity of attractions for all ages this place also has nine family-friendly restaurants, 15 themed retail outlets, a multi-purpose theatre as well as multiple kiosks serving light bites and merchandise throughout the park. Set right on the beach, on the border of Dubai and Sharjah, this park is best for barbecues and picnics. Unlike the theme parks in Dubai, this offers expanses of lush greenery along with private beach huts that are available for hire and a swimming pool that makes it the ideal place for a weekend gathering with your family. This suburban park is located just a few blocks from Mall of the Emirates. This park surrounds a large pond, features a bouncy running track, gym equipments, basketball courts, tennis courts, a jumping castle all of which can be booked at the onsite office. The emirate of Dubai houses the world’s stunning and natural attraction in the region. Spending a classy time with family and friends is what these wonderful parks in Dubai vow to offer. 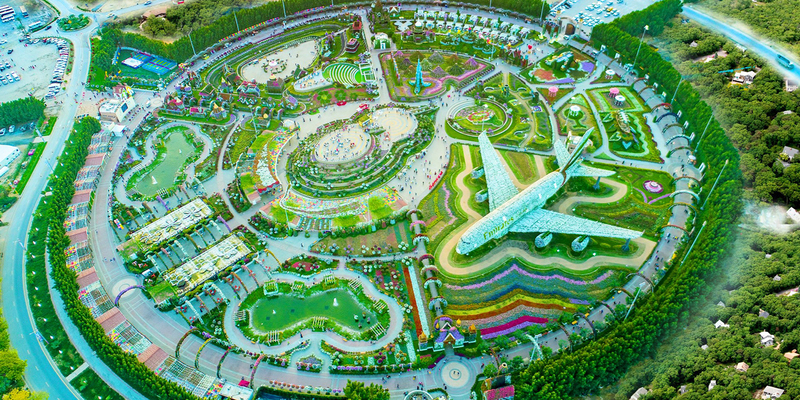 So, if you are also planning your next trip to these dazzling parks, book your rental car with uaedriving.com to get a hassle-free experience.